Private Label applications allow manufacturers the option to re-list qualified products under alternate organizations without having to submit duplicate testing information. You may only submit a Private Label Application if the original equipment manufacturer’s (OEM) product is already DLC qualified. If you are using OEM test reports to submit an application for a product or family that has not been previously qualified on the QPL, please complete the Test Report Authorization form and submit either a Single Product Application or a Family Grouping Application. Organizations submitting information for multiple brands should provide the private label documentation described below and the applicable fees with the original Single Product or Family Grouping Application. If you wish to update the performance of products previously qualified through a Private Label application, please select the Private Label Application type to create an application in the Application Portal. This will ensure that necessary product information from the original application is retained during the DLC review. Selecting any other application type when creating the application will cause delays in review. Please note: The principle behind Private Label applications is that products are identical to the originally qualified versions. Therefore, the DLC lists private labeled versions of products with exactly the same performance information as their OEM versions. The reasoning behind this is that identical products should reasonably be expected to have identical performance ratings, even if brand, manufacturer, model number, date qualified, and similar descriptive fields are necessarily different. Please review the FAQs page for additional policy clarifications and contact [email protected] with any questions about submitting an application to the DLC. Determine that the products you intend to private label have already been qualified on the QPL by the original equipment manufacturer (OEM). If you are submitting an application to list products under multiple brand names but the products have not yet been qualified on the QPL, you must submit either a Single Product Application or a Family Grouping Application and include the Private Label Application form and Private Label Agreement form. If you are submitting an application to private label a product that has already been DLC qualified by the manufacturer, continue with these instructions. Note: Private labels must include at least one OEM parent model per unique OEM family ID to be eligible. Please ensure the OEM products downloaded from the DLC QPL include at least one parent model. Complete the Private Label Application Form. Download the Private Label Application Form (.xlsx) at the bottom of this page. 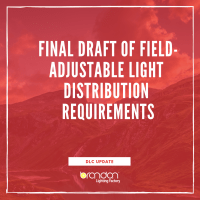 The OEM’s qualified products must be downloaded directly from the DLC QPL and the model numbers listed exactly as they appear on the QPL. Complete the Private Label Agreement Form. Download the Private Label Agreement Form at the bottom of this page. This statement must be filled out in its entirety and signed by representatives of all organizations involved. 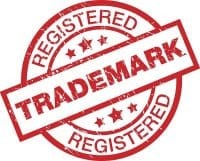 If one organization is listing products under different brand names, the signature of a representative of the parent organization is sufficient. An organization that is a signatory to the private label statement may choose to withdraw its consent at any time by submitting a written request that the private label listing be terminated. Any such request must be signed by an authorized representative of the organization. Upon receipt of such request, the DLC will delist the private labeled model numbers from the QPL. Once logged in, click the Applications tab on your Dashboard. Click the green Create Application button. This will lead you to the Create New Application window. Enter the required Application Details and Application Contact information. Be sure to select the SSL Private Label application type. After creating the application, you will be redirected to the Application Home. For those applicants who do not have the appropriate level of authority to sign the agreement, it is recommended that the signing authority create a DLC account under your company’s organization and digitally sign off once the application is complete.